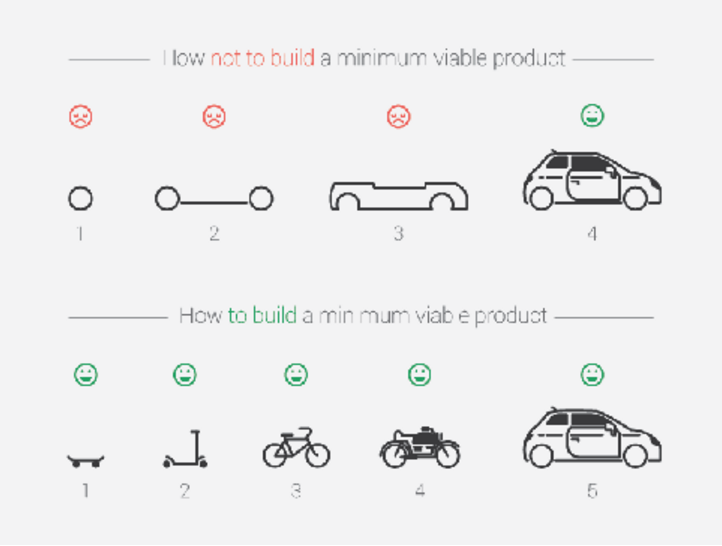 As a product manager, the message is that each phase of developing a minimum viable product (MVP) is a functional step towards the end goal. So each phase is usable. Super important. This entry was posted on Wednesday, December 23rd, 2015 at 4:24 pm	and is filed under Business, technology. You can follow any responses to this entry through the RSS 2.0 feed. You can leave a response, or trackback from your own site.